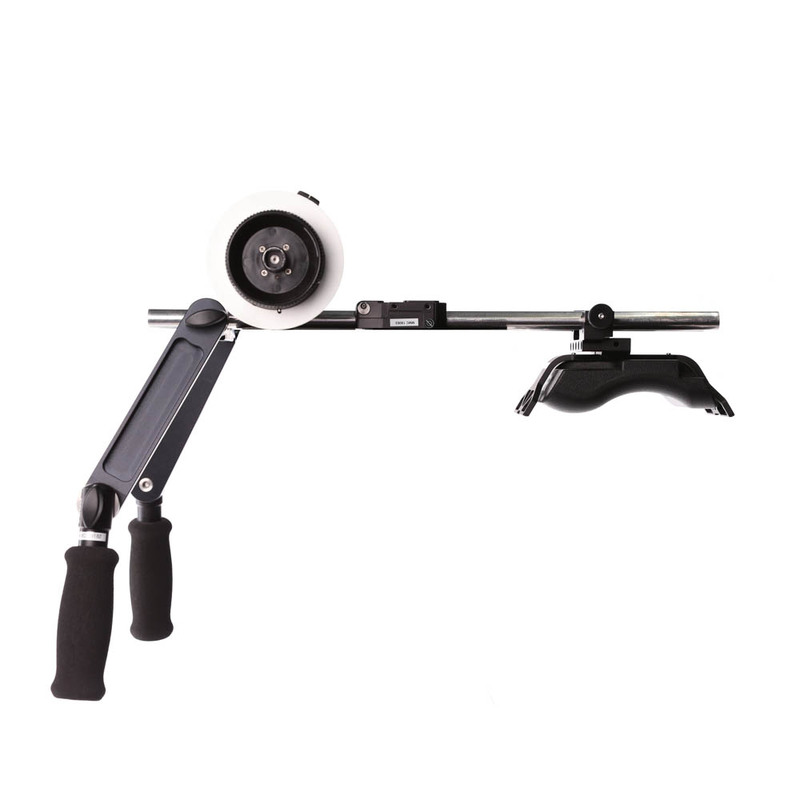 Gain the ultimate flexibility with this specially designed shoulder rig for the Arri Alexa Mini. Lightweight, stable, versatile, this rig has it all! It is easily customizable for the perfect fit, regardless of your preferred style. With Arri's CSP-1 Shoulder Pad you can quickly move from tripod to shoulder and back, with little to no setup time! Whether your shooting a feature, commercial, documentary, or anything in between you will find this a welcome addition to your Alexa Mini package! (2) 15mm Steel Rod @ 18"
Note: This item is not eligible for shipping! Sorry, this item is not available for the selected time period. Changing the dates/times will change your cart! Change your pickup time to 4pm and your return time to 12pm to unlock Weekend Rates! Our minimum rental period for shipping orders is 2 days. Item successfully added to the cart. How do I setup a rental? Please select a starting and an end date. We've noticed that your user profile isn't complete yet. In order to use our services please provide the relevant missing information in your account setup page. If all of the items you would like are not available you may need to submit multiple orders with different rental periods or speak with one of our Rental Coordinators after submitting your order. They may be able resolve items that are in conflict. We're sorry, but the flash discount for the items in your cart has expired while you were away. You are being redirected to the cart page now. For security purposes your session has been logged out. Don't worry! Your items have been saved in your cart, log back in to continue your session. Cannot regenerate the session, you have been idle for too long. We are currently experiencing connection issues. You can still browse the site, but you won't be able to log in, check availability, add items to the cart, or check out. Please call 312-465-2366 for assistance. If you are unable to reach us at that number, then call 804-477-5982. We apologize for the inconvenience! Cookies are disabled, but this page needs cookies to work properly. Please follow these instructions to enable cookies for your browser. If this message still shows up, you might have Private Browsing / Incognito Mode enabled. To turn this off, follow the instructions available here.